They’ve been replaced once and here we are again. 750 miles left of 3/36 is this going to be a common occurrence or should I go get em to replace them one more time? 68k on my 2016 with no peeling, but I don't live in Florida. If you have them replaced again, maybe think about having protection film installed to protect from UV rays. That final layer of clear paint IS the 'protection film installed to protect from UV rays'. Here in Texas that coating peels pretty fast too, sunlight does it. 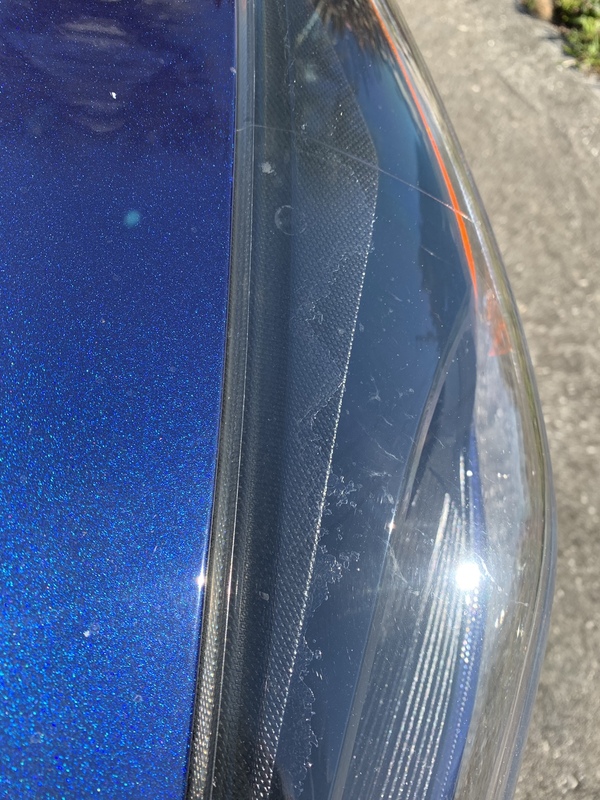 The Ford stuff usually lasts but if the replacements were cheap Chinese (they can look eyepopping good when new) like TYC or Depo, those tend to lose the top coat really fast. Some Ford dealerships use aftermarket parts that save whopping amounts of money but let the customers think they are official Ford parts when they are not. I saw plenty of that, we had Ford dealer clients that did it. If the OP had them replaced under factory warranty, the dealership is required to use Ford parts. There is a madness to my methods!! Have them replaced under warranty and then add a protective film like mentioned above. I usually use lamin-x on my vehicles. Went to Ford today. They took pictures this time to submit to Ford to approve another replacement not sure why they needed to take pictures this time but that’s what they did. Said they’ll call me back. I have a 16 Kona blue SE as well. Had my passenger side replaced a couple months ago and when it was in the shop a little over a month ago they ordered up the driver side. Took about a month to come in, kinda almost forgot about it. Had it swapped last Saturday. Two fresh headlights....hope I don't have to keep getting them replaced. Is this common on the 16's or the MK3 in general? My 2013 originals are holding up fine. Well I’m going for set 2 now so idk could be Florida sun though too who knows.